I did not want, nor did I need, another dog. I already had two dogs, Xuxa and Xander, both of whom I loved dearly. Xander had been through some serious health issues, as mentioned in previous blog posts. We had been through a lot together, and I always treated him a little more tenderly. I will never forget the pain he experienced. 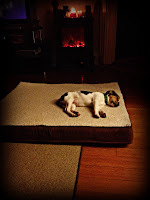 I had agreed to foster a pup for Great Dog Rescue N.E. The reason I had chosen to foster a puppy instead of an adult dog was that a younger dog would be adopted much more quickly. The average length of time it took for a puppy to get adopted is two to three weeks. Three weeks seemed like the perfect amount of time. I could help to get the puppy started on a training program and could have a great potty training routine in place for the new owners. It would also be beneficial to get the pup into my playgroup so that it would be well socialized with other dogs. Three weeks would be easy. It was a freezing cold mid-November day. I drove out to Harvard, MA to pick up our foster dog named Fendi. I walked into the kennel's front office and filled out some paperwork. The girl disappeared through a door, only to pop back out 2 seconds later with a tiny pup in her hands. She handed her over to me and without any further formalities said, "good luck with this one, she's trouble." Thinking she might have to pee before we headed back to Boston, I clipped a leash to her collar and brought her over to a patch of grass. She peed instantly. We made our way back to the car, but this time instead of going into the back, she jumped right into the front passenger seat. I always have towels on the seat for my own dogs, so I saw no harm in letting her stay there as long as she would sit still for the ride home. I should not have worried - she slept the whole way. We got home. I took her to the front yard before bringing her into the house just in case she needed to pee. I was trying to avoid any accidents in the house. She peed right away, took two steps, pooped, then turned around and ran right up the steps into the house. "OK, that was easy," I thought to myself. A few hours passed - she slept for most of them. I thought it would be good to take her out again. I opened the door and was about to bend down to put a leash on her, but she was already gone. I looked over to the yard and she was in a squat doing a pee. The moment she finished, she ran right over to me and sat down, staring right into my eyes. This was just too easy. In 40 years of dog ownership and with many years in the dog industry, I can honestly say she was the easiest dog I have ever potty trained - I did nothing. 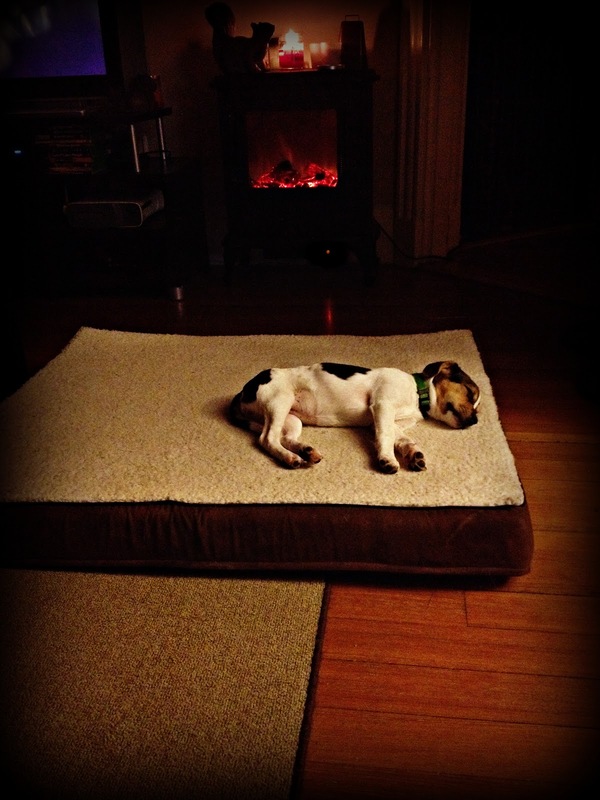 Time for bed - what to do with the new puppy? Xuxa and Xander sleep on the bed. They have always slept at my feet and do not like being under the covers or near my face. So I was a bit surprised when Fendi buried herself under the covers with me. She squirmed her way to my neck, curled up into a tight little ball, and promptly fell asleep. She did not wake until morning. This has now become the norm. The next trial for little Fendi was going to be the car ride to the dog park. Xuxa and Xander got into their usual spots, lying side by side in the passenger seat as they had done for almost six years. I was going to put Fendi in the back, thinking my two would not tolerate a third dog in the front seat. Fendi jumped right in between them, and all three lay there like they had been doing it for years. Xuxa and Xander are around a lot of other dogs all the time, but they are very aloof and generally prefer the other dogs to keep their distance. The first time Gidget jumped on Xander from the couch, landing on his back before bolting down the hallway, Xander took off running after her at full speed. I thought there was going to be blood. Then they both flew back into the living room, careened onto the sofa, and roughhoused for about ten minutes. Instant best friends. And when Xuxa allowed Gidget to lick her face for a full minute without too much protest, well, let's just say, that's Xuxa's version of acceptance. I had been taking care of this little love bug for about three days, but saying the name Fendi seemed to grate on me. The name just didn't fit her. For some reason, I always called her Gidget. I didn't see any harm in calling her that until she was adopted. She learned everything super quickly. Teaching her "Sit" took two minutes, "Down" another two, and I never even had to teach her "Come." From day one, anytime she was off leash, she ran like a maniac - but only in circles around me, one eye always looking straight at mine. It was about the fourth day of her foster care that I knew I could never give this dog up. She fit into my life as if she had been here for years. She is fearless with a sense of caution. You can tell she's unsure about certain situations, but will she back down from them? No way. She forges on. Gidget is here to stay. Mark I truly believe that dogs can sense what is right and who the pack leader is ... Great post! @ Gizmogeodg. Thank you for the nice words. Sorry about Bruno. They live such short lives. What a great story! Dog Bliss! So glad things worked out so well for you all! This story made me so happy! Priceless! they say your dog picks you:) good luck with your three angels! Usually that is because something happened in early life that taught us that packs of humans are bad. But for people raised in big families and who have played team sports and have enjoyed going out to social events, they get energised by packs of humans, just like dogs do with packs of dogs.